When You Lose Someone You Love Sympathy Card | it takes two, inc.
Memories of loved ones are what give comfort when someone experiences a death. 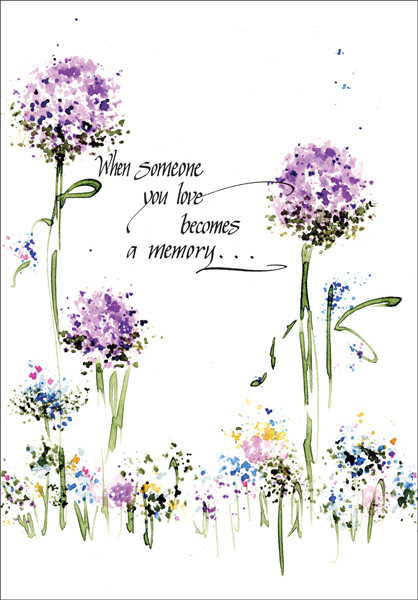 This purple floral sympathy card with words of comfort will be warmly received and much appreciated. 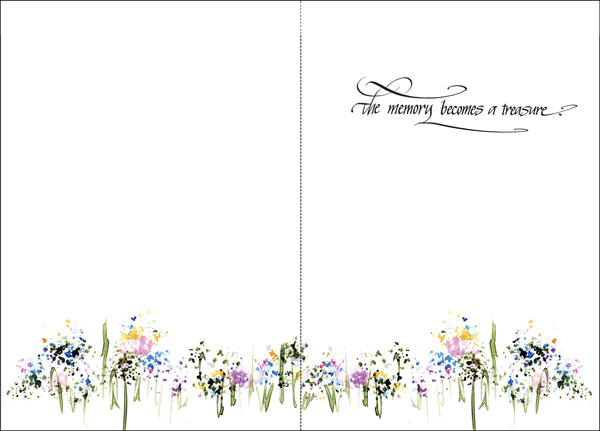 Inside: the memory becomes a treasure.